Activewear never looked so good doll. 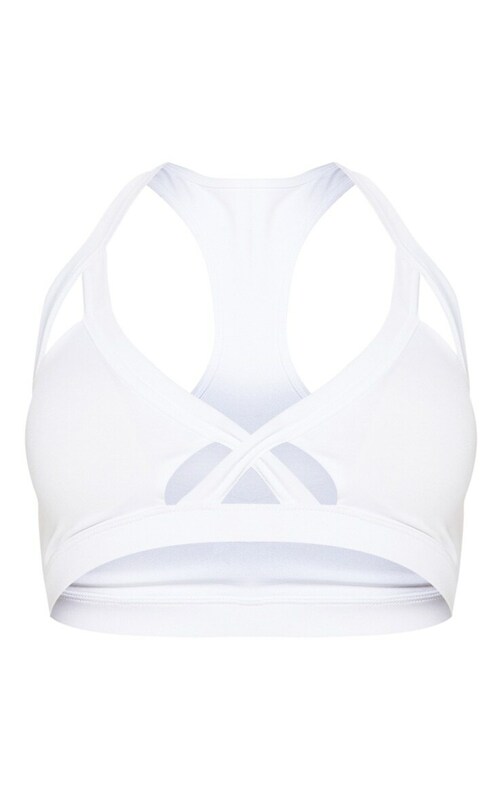 Featuring a white fabric with a cross strap detail, plunging neckline and halterneck style, what's not to love about this sports bra? Team with grey cycle shorts and fresh kicks for the ultimate gym outfit.